Size: 30 x 240 cms when joined. Title: 'Panorama of the River Thames in 1845. Given with the Illustrated London News'. 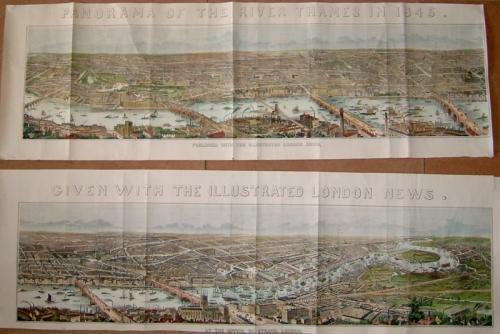 Two wood engraved and very long panoramas of London, viewed from the South with the Thames in the foreground. A wonderful, detailed view of early Victorian London. The condition is very good with a very clean image and folds as issued.